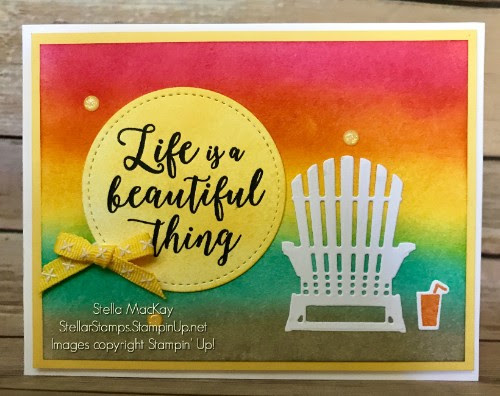 I LOVE this card from Stella MacKay (who is also my supportive upline) so I had to share it with all of you. This card reminds me of laid back days on vacation enjoying a wonderful adult beverage without a care in the world! I think this would make a great card to celebrate one's retirement or "just because".